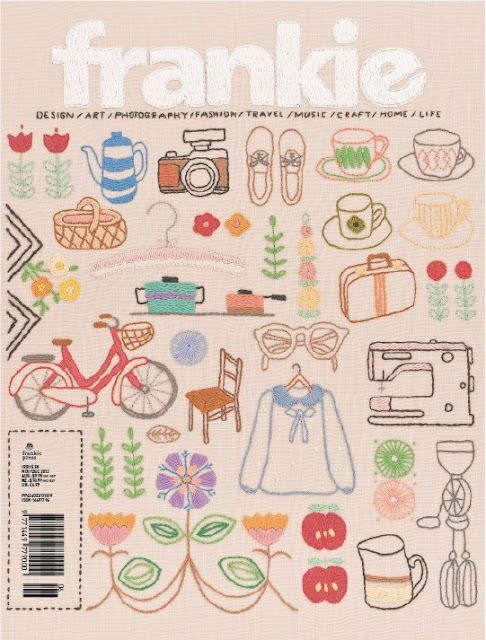 Always a lovely surprise when my fresh new Frankie magazine is waiting for me on the door mat! This time a special one! To celebrate its 50th Issue, Australian magazine Frankie created an adorable embroidered cover of what has been the focus of the magazine throughout the years (i.e. fashion, photography, travel, craft, home, etc.). 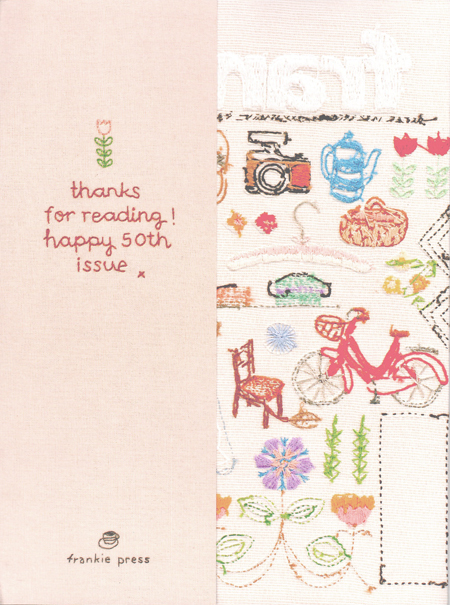 It's embossed but in an embroidery way, BE-AU-TI-FUL!